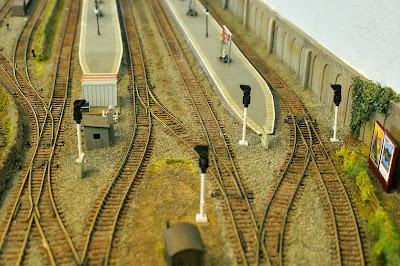 A junction signal controlling at the northern end of Petersfield station. 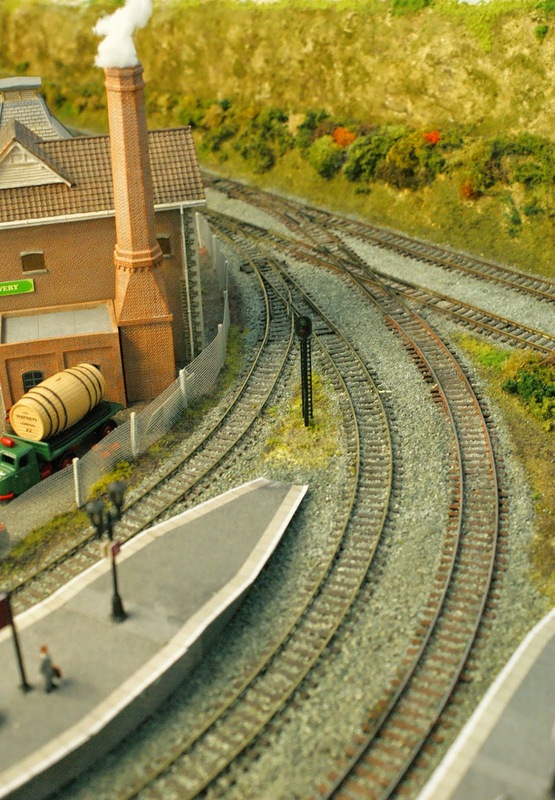 The first of two two aspect signals at the southern end of Petersfield. A two aspect signal at the southern end of Gunnmere Junction. 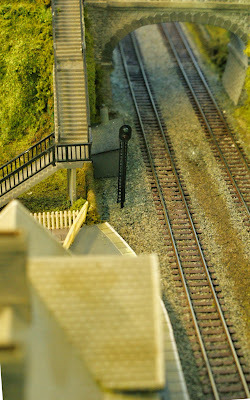 The first of several signals controlling the northern end of Gunnmere Junction. 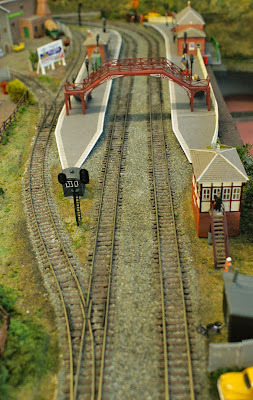 This weekend we finally embarked on installing some more coloured light signals on to the layout. Those at Sueston, which we installed some time ago now, have, rather embarrassingly, been the only proper signals on the system and the only mitigation that I can offer, in defence of this, is that we have been busy rebuilding the northern half of the layout and wanted to make sure that all heavy building work and track laying was completed before we installed delicate (and expensive) signals! Well, I feel that we have reached a point now where we can safely install the signals and we have now made a start both at Petersfield and at Gunnmere Junction. The latter station, in particular, requires some complex signalling, especially at its northern end with all platforms and sidings needing to access four main running lines plus the branch line! The signals are not yet in action because I wanted to install them all first before wiring them to the power supply and innumerable switches! This process of signal installation is, by the very nature of the size of the layout and the cost of the signals, going to take some time to complete but it will be fun to do and will look fantastic when it is finally finished.